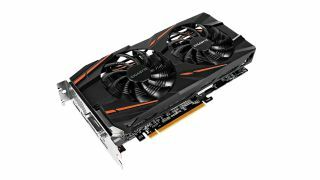 On the hunt for a bargain GPU? Then maybe you’ll be tempted by this discount on one of AMD’s Radeon RX 570 graphics cards, which has been reduced by £40 at eBuyer. We’re talking about Gigabyte’s Radeon RX 570 with 8GB of GDDR5 video memory (there’s also a lesser 4GB variant of the RX 570), which would normally set you back £189.99, but has been reduced to £149.98. This GPU has a clock speed of 1,244MHz, boosting to 1,255MHz in overclock mode. It also benefits from a pair of 90mm Windforce fans to keep everything cool when the pixels are flying thick and fast. If you’re planning on gaming in 1080p (Full HD) resolution, this is a great card to keep frame rates moving swiftly. Still not impressed by the value on offer here? Then you might be interested to learn that buying this graphics card also entitles you to one of AMD’s ‘Raise the Game’ coupons. And armed with that, you can procure download codes for two free games out of a choice from: Tom Clancy’s The Division 2, Resident Evil 2, and Devil May Cry 5. Of course, these games aren’t out until early next year (January for Resident Evil 2, March for the other pair), so they are effectively pre-orders.